Pukka is an Indian word. 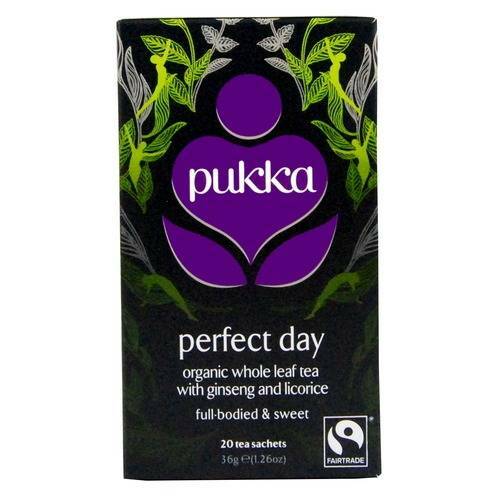 An ideal description for a fairtrade purveyor of organic teas. They’re famous among those who love their tea. But it’s not surprising when they keep turning out such gems. Good Morning Nam Lanh tea from the Vietnamese rainforest. 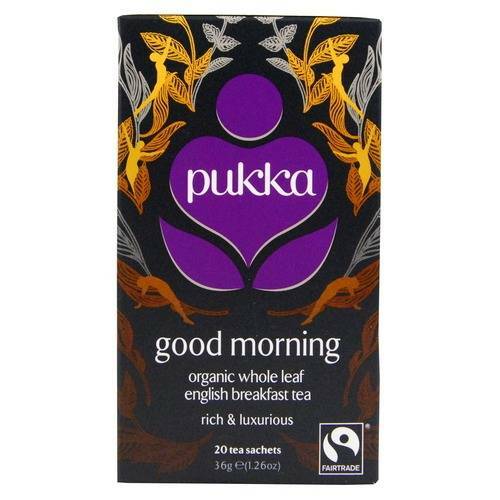 An ‘English Breakfast’ tea from obscure surroundings which Pukka hope to be the best black tea you will ever taste. Picking this deliciously rich tea offers the H’mong and Zhao tribes an alternative to growing opium and a chance to take more control of their lives. Perfect Day combines Nam Lanh tea with full-bodied and sweet ginseng, licorice and maca. Designed to tackle stress and boost energy, this tea is deliciously smooth and sweet with an earthy depth. 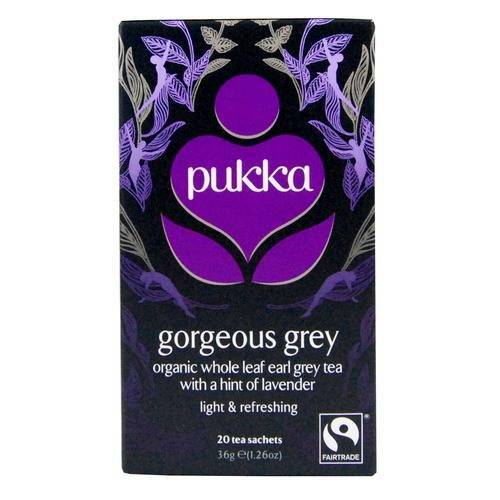 Gorgeous Grey is an earl grey with a hint of lavender. It comes from Dunsandle, an 150 year old tea plantation grown from a single source. The delicate, zesty and floral taste provides the perfect afternoon indulgence! Take a look at the Quinoa 101 webpage for proper cooking instructions. Organic Quinoa Grain – sometimes called ivory quinoa. It is soft and has a mild flavor so it’s great for complimenting other foods. Red Quinoa Grain – stronger in flavour, it takes longer to cook but is also crunchier. But the distinct flavour and appearance make it more suitable for cold salads and other recipes. 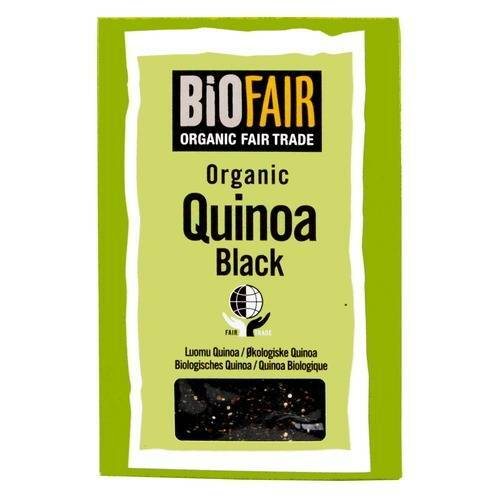 Black Quinoa Grain – the rarest of the three. It is sweeter and strong in flavour, and also keeps its crunch and colour when cooked. 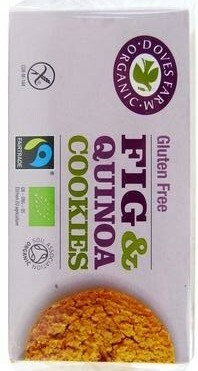 Tri-Colore Quinoa Grain – a fantastic mix of all three. It seems a lot of chocolate companies are adopting a Spring theme with their Easter Eggs. Perhaps they realise how tired we are of the cold now? So, Divine, the fairtrade chocolate company has introduced Bee Shaped Chocolates made with smooth milk chocolate and small pieces of honeycomb crunch. Bees, of course, are vital to the planet’s eco-system – 70% of the food we eat grows because of them. And they’ve been in the news a lot lately because their numbers are dropping to dangerous levels. In addition to all their worthy chocolate work in Ghana, Divine are now also asking everyone to encourage bees back to Britain by planting wild flowers. They’ve teamed up with beehappyplants.co.uk to get you a money-off offer this Spring. Honeycomb bees isn’t the only Easter chocolate from Divine. Whether it’s dark or milk or white chocolate eggs, little or large, there literally is something for everyone, especially with their Beano Easter Egg Hunt Kit. All, naturally, made from the “best of the best” cocoa and free from artificial flavourings, colourings and preservatives, and suitable for vegetarians. This year Fairtrade are inviting you to Go Further in support of small farmers. Fairtrade Fortnight is Monday 25 February to Sunday 10 March 2013. You can visit their website and get involved by signing a petition to be taken to 10 Downing Street and then Go Further by using their website to design a virtual model of yourself to be taken on the Fairtrade protest through London. We can all make a difference. GoodnessDirect source products from all over the world that are certified with the Fairtrade label and conform to Fairtrade Standards. By choosing to shop Fairtrade with us you are helping small farmers and workers gain a better chance to work their way out of poverty, through fairer wages, safer conditions at work and a little extra, called the Fairtrade premium, which is invested in projects to improve life for their whole communities. Most Fairtrade products are from tea, coffee and sugar plantations, but we also are pleased to eco-friendly products, and lots of chocolate. So I came across this photo… and now I’m drooling! The Eat Natural bar I know, it’s a great munch for fitness food, but what’s with the Coco Cafe Latte drink? Well a little reading up determines that this is something I’m going to have to try… The Coco Cafe consists of Natural Coconut Water, 1 shot of strong espresso and a dash of ‘reduced fat’ milk. Just the thought of it makes me drool. Coffee I can love, but good coffee tinted with coconut starts to get me buzzing in all the right ways. It’s fairtrade too. Are you fairtrade when it comes to beauty products? How many fairtrade beauty products can you name? While we’re used to foodstuffs like cocoa butter, brazil nut oil and apricots being sold fairtrade for the dining table, we don’t tend to think of these products as needing to be fairtrade when it comes to cosmetics or bodycare. Then there are other ingredients we don’t think of much at all, such as herbs or spices like rosemary and ginger which are often used as aromatherapy oils. 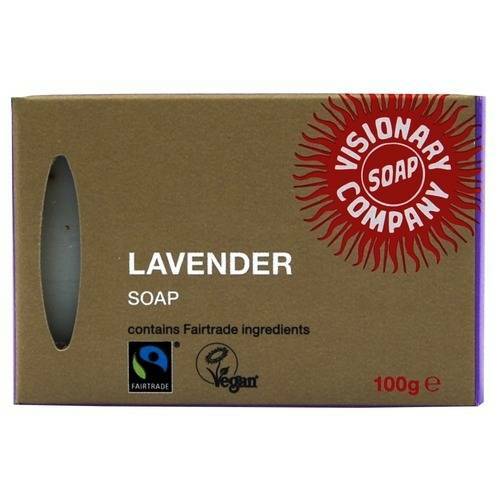 For the last few years, The Visionary Soap Company has been leading the way in fairtrade to the beauty product world. We’re starting to stock their bars of soap at GoodnessDirect and hoping that it will help revolutionise life for the farm workers back where those basic ingredients started. Look out for the Fairtrade logo on the beauty products you buy.